In Stock! This item ships in 1-2 days. 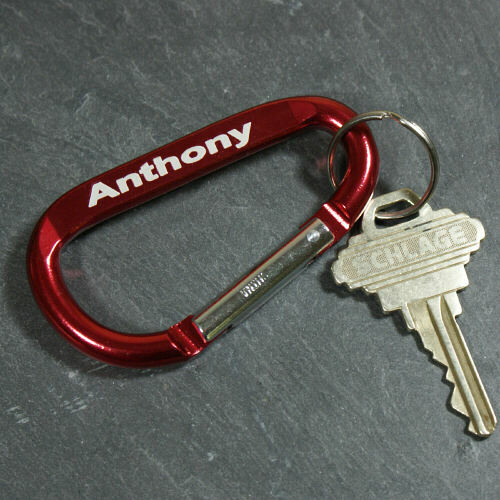 Whether you are going on a rugged climb or taking a trip to the mall this Father's Day, this personalized clip key chain will keep keys close and safe. 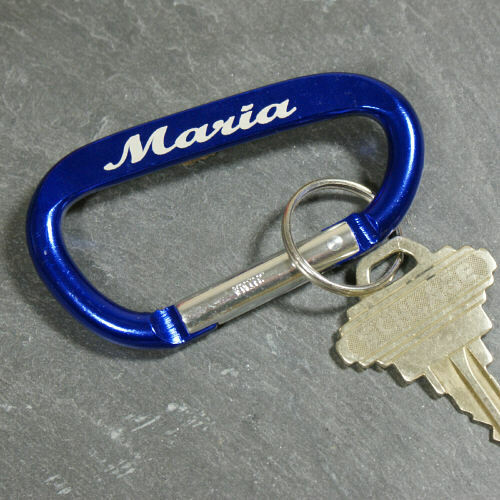 The engraved carabiner key chain is a sturdy, all-metal clip with anodized finish that comes in black, red or blue and includes any name in block or script lettering. 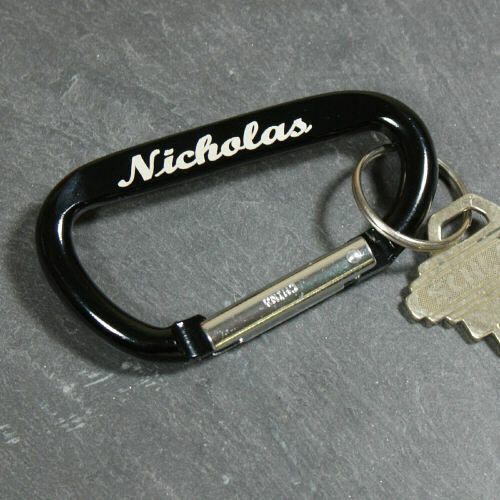 Personalized Dad accessories like this key chain make a great gift for Dad on Father's Day or anyone from exercise enthusiasts to groomsmen! Personalize Your Item for Free!